Finnish Baroque Orchestra’s second release of Christoph Graupner’s (1683–1760) music continues to reveal delightful masterpieces by the Baroquemaster, who November 2014 during his lifetime was even more well known than his colleague Johann Sebastian Bach. 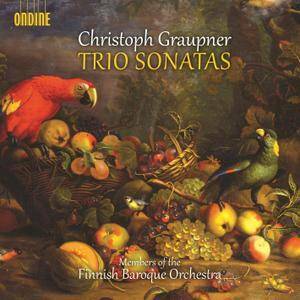 After the acclaimed release of Graupner’s orchestral works (ODE12202; The Finnish broadcasting company YLE Record of the Year 2013), this new album focuses on some of the chamber works by Graupner – the Trio Sonatas. Graupner was extremely productive as a composer, with a catalogue of over 2’000 works varying from orchestral works to cantatas, concertos and chamber music. He also possessed a unique personal style of writing music and often favoured certain rarer instruments in his works. Among these are the viola d’amore as well as the chalumeau, both instruments being heard also on this disc. From his contemporaries Graupner’s music stands out with its exceptional command of melody and harmony. 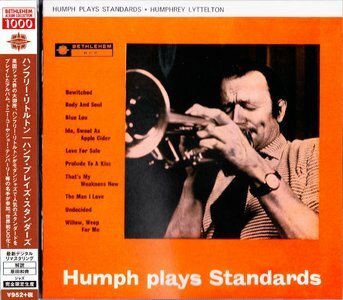 Humphrey Lyttleton's a British bandleader, but he makes a rare appearance here on Bethelehem Records in the US – on a session that was one of the early ones recorded in Landsdowne Studios! The group's a small one, and features some especially great work from Tony Coe on alto and clarinet – still in a relatively swing-based mode, but already with those sharp edges that we love so much – and the rest of the record has a similar blend of older jazz with modern inflections, played by a group that also includes Johnny Picard on trombone, Ian Armit on piano, and Jimmy Skidmore on tenor – plus Humph himself on trumpet. 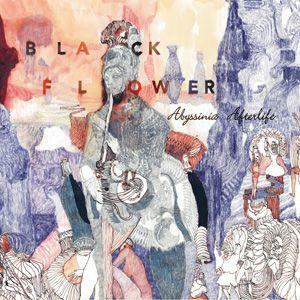 Titles include "Love For Sale", "Undecided", "Willow Weep For Me", "Blue Lou", "Prelude To A Kiss", and "Bewitched". 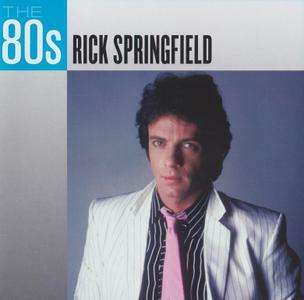 This budget-priced collection from the hunky Aussie soap opera actor turned rock star collects ten of his biggest radio hits, including "Jessie's Girl," "I've Done Everything for You," "Don't Talk to Strangers," and "Love Is Alright Tonite." 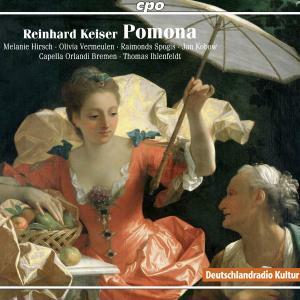 Reinhard Keiser is regarded as one of the most important German baroque era opera composers; Pomona forms the ideal introduction to the world of German-language baroque opera. A few deities come together to participate in a contest ultimately to be decided by Jupiter, the father of the gods. And thats it! 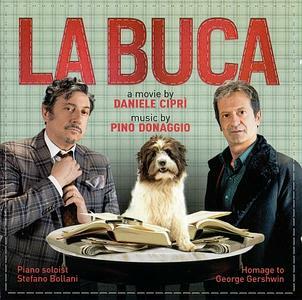 No intricate plot, no complicated character groupings. Pomona was the last opera based on a libretto by Christian Heinrich Postel, a highly experienced librettist whod recognized the young composers talent, and beginning in 1697 penned his texts exclusively for his musical settings. 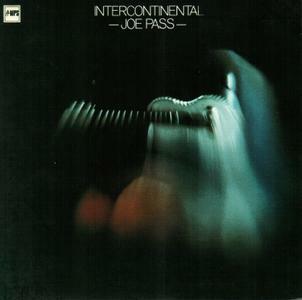 Joe Pass recorded almost exclusively for American record labels during his long career, so this 1973 studio date for BASF is a rare exception. With bassist Eberhard Weber and drummer Kenny Clare's brushwork, the legendary guitarist plays a half dozen or so standards, including gently swinging takes of "Chloe" and "Stompin' at the Savoy," a soft arrangement of Jobim's Meditation," and a very lively version of "I Love You" (also featuring solos by his rhythm section). He also improvises the tasty "Joe's Blue's," plays a light samba written by the session's recording director ("El Gento"), puts some life into the normally tame 1960s pop hit "Ode to Billie Joe" by playing it in a Latin groove, and concludes with the very familiar standard from the Count Basie songbook, "Lil' Darlin'," which he must have performed hundreds of times during his career. 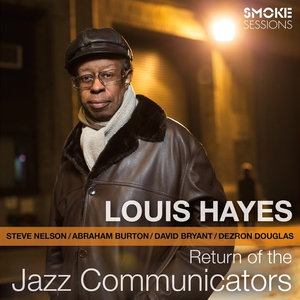 While his playing is rather reserved compared to his later extensive recordings for Pablo, and this release is by no means near the top of the late guitarist's considerable discography as a leader or soloist, fans of Joe Pass who listen to this set won't be disappointed. Richard Pinhas, the founder of 70s progressive legends Heldon, is one of the most uncompromising artists on the international rock scene, having remained constantly innovative and true to his personal artistic vision for 40 years and some 35 full length releases. Oren Ambarchi is a guitarist, drummer and sound-artist who has performed and/or recorded with a huge array of artists, including Fennesz, John Zorn, Jim O'Rourke, Otomo Yoshihide, Evan Parker, Merzbow and others. Since 2004, he has worked with the avant-metal band Sunn O))), contributing to many of their releases and side- projects. The music on Tikkun, which consists of three very lengthy tracks, comes across as a very tasty cross between the heavy, synth-driven, sequencer beats of classic Heldon and the much more noisier aspects of Pinhas' work over the last decade. As part of the Re:solutions series this historical title has been mastered from original analog sources and reissued in January 2014. 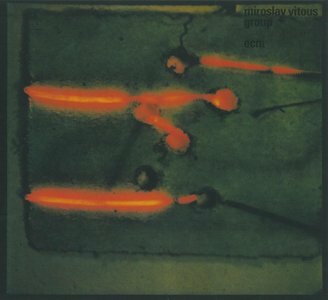 Between 1979 and 1982, the Miroslav Vitouš Group was the primary outlet for the abundant improvisational skills of leader Vitouš and John Surman. They made three ECM albums: this eponymously-titled disc from 1980 is the middle one. 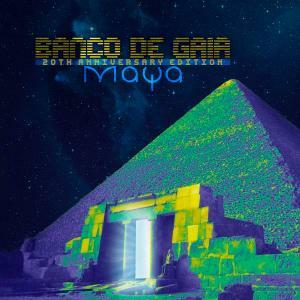 In celebration of the 20th anniversary of the release of an album which is considered by many to be one of the pioneering classics of global electronica, Banco De Gaia is happy to announce this triple disc version of Maya. Originally released in February 1994 on the Planet Dog label, Maya reached No1 in the independent charts in the UK and was nominated for the Mercury Music Prize. 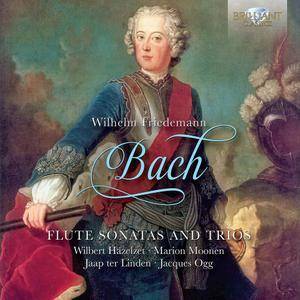 This CD presents Wilhelm Friedemann’s works for flute, either as solo sonata or in trio combination: music of great beauty, melodic charm and invention and instrumental brilliance. Although the output of Johann Sebastian’s eldest son is comparatively small, the significance of his style, as a logical and truthful successor of his father, is great. His style, based on the Baroque principles, is free, adventurous and forward‐looking, the “Empfindsame Stil”. It serves as a bridge between the Baroque and the Classical Period. Played by the best Dutch Early Music specialists on period instruments. Contains detailed notes on the music and instrument specification. 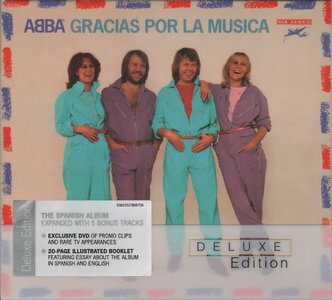 Features the high-fidelity SHM-CD format (compatible with standard CD player) and the latest 24bit 192kHz remastering. Smoking work on Hammond from Freddie Roach – a key player in the Blue Note lineup of the 60s, and a strong link between the label's soul jazz and modern sides! 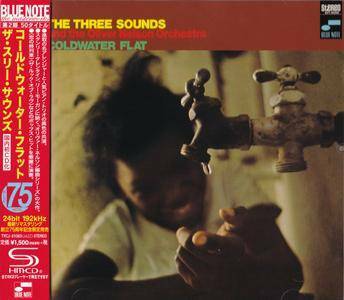 The sound here is a really beautiful one – partly in the organ/tenor mode forged by Baby Face Willette and John Patton in their early recordings for Blue Note, but also stretching out in that way that started to show up in Patton's later work, and in the seminal work from the time by Larry Young. Freddie's touch on the keys is really opening up here – clearly driven by some more original ideas that help push the album past the more R&B influenced sound of some of his earlier work. 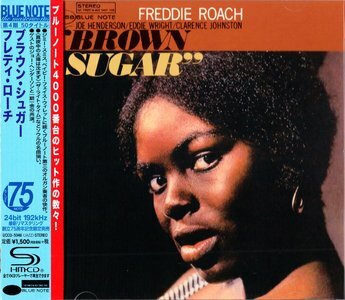 Players on the set include Joe Henderson on tenor, Eddie Wright on guitar, and Clarence Johnston on drums – and title cuts include "Brown Sugar", plus "All Night Long", "Have You Ever Had The Blues", and "The Right Time".